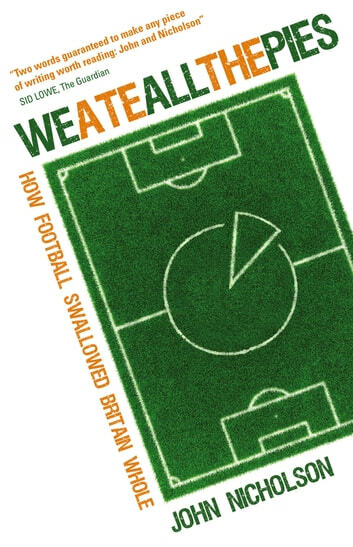 In Who Ate All the Pies?, the gonzo sports journalist explores and celebrates the things we love about the whole culture of the game, tries to explain how we got to where we are now and speculates where we the game is headed. Amongst other things, he explores the history of the football shirt in style and design; how and why sponsorship became the norm; the culture of food inside the ground, around the stadium and in the pubs and clubs, and how the culture of pies and the modern trend of fine dining changed the match day experience (and why prawn sandwiches are the perfect expression of the class-politics of football); why booze is so important to football; how football is used by people to vent their everyday frustrations and emotions and how this is managed by the clubs. He also describes the history of football on TV and how it changed perceptions of teams and countries (in particular, the 1970 World Cup TV revolution); the role of international football in national identity and the intricate complexities of being a Teessider, Northern and English, in that order!